We've all been challenged by our children at one time or another but what about every day, by dozens of kids of all ages and backgrounds? Now parents, teachers, counselors, and pastors can benefit from the collective wisdom of Girls and Boys Town, one of the most successful programs for troubled youth in the country. 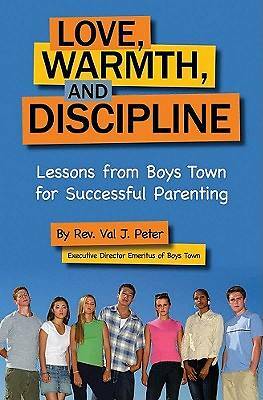 In the form of "dispatches from the front," former director of Boys Town Father Val J. Peter, J.C.D., S.T.D., shares these skills so that you, too, can help the young people in your life develop the virtues, self-esteem, resilience, and moral code that will sustain them throughout their lives. Extending across genders, parental roles, financial resources, and extenuating circumstances, Father Val cuts to the chase with wit, charm, and real stories to help every parent persevere and every family grow closer in love and respect for each other. Whether you are questioning your own ability to parent, wondering what planet your child came from, or simply wondering how to find inspiration and avoid exasperation in every day family life, this is an indispensable handbook for you. Hit the "reset" button and help everyone start making better choices today.